The focus of this chapter is to provide an overview of the most commonly encountered etiologies of spontaneous intracerebral hemorrhage (SICH). Specifically, the goal is to review the differential diagnosis of nontraumatic hemorrhage based on clinical presentation, imaging characteristics, and location of hemorrhage. 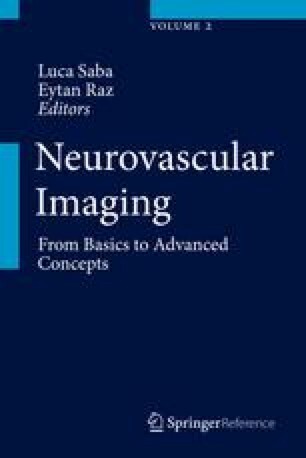 In addition to reviewing the various potential causes of nontraumatic intracranial hemorrhage, this chapter will provide a review of the variable appearance of hemorrhage on CT and MR. An emphasis will be placed on identification and anticipation of the potential complications of acute intracranial hemorrhage.